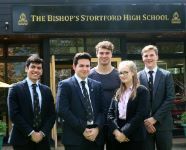 Five TBSHS students are set to start medical courses this Autumn. 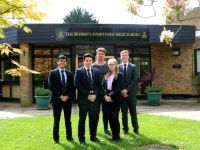 Federico Pastor Franco, Becki Jones, Lewis Oakey, Sameed Shariq and Oliver Hougham (Yr 14), have between them, received 11 offers to read medicine. Sameed heads the field with four offers, including his first choice, Imperial College, London, (A* A A). Lewis is holding two offers, but has chosen the Royal Veterinary College in London (A A A). Federico has a place at UCL (A*A A) and Becki has a place at UEA (BBB) to read Medicine with a Foundation Year. 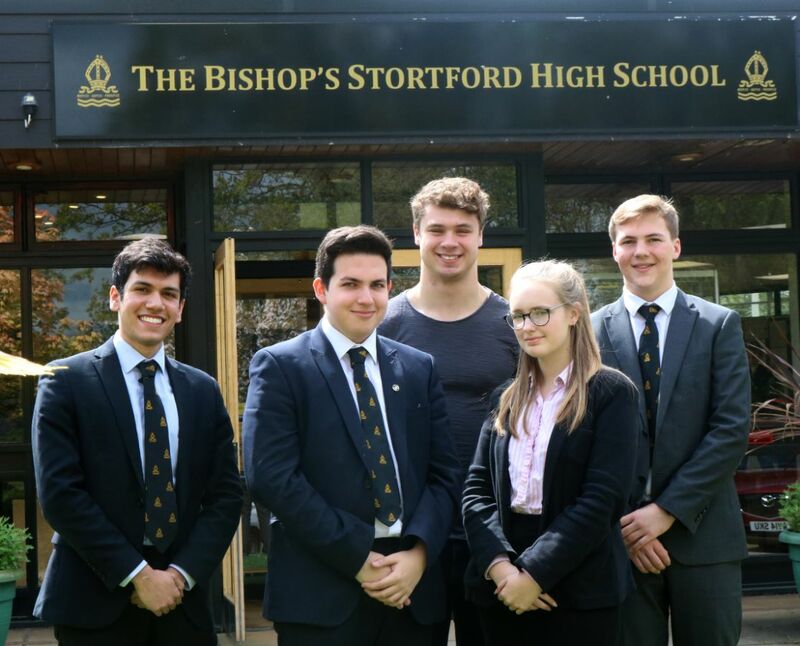 Oliver took his A levels at TBSHS last year and is currently on a gap-year, having received three confirmed offers of a place, ultimately opting for Newcastle. Becki who is headed to UEA says "Medicine is something that I am very serious about doing, which is why the concept of doing a six-year course didn’t put me off at all. I have many reasons why I feel being a doctor is the right choice for me but having an active interest in volunteering and being a positive impact on a community was big motivation towards doing medicine. UEA was my first choice when I was looking at universities, as its course structure and use of PBL was very attractive to me. I was also interested in the fact that the medical school had shown to produce some of the best prepared foundation doctors, demonstrated through national data provided by the GMC following their annual survey of all doctors in training in recent years. Finding that UEA offered a course with a foundation year was ideal for me, and thankfully, I received an offer! Getting this far would not have been possible without the support I received from the school, family and my peers, which I am eternally grateful for." Lewis explains "I’ve always had a love for natural science and compassion for animals. In year 10, I spent a week at a veterinary practice and this confirmed my desire to study veterinary medicine. Since then, I have gone on to gain a wide variety of animal related experience, such as lambing, looking after exotic birds (including penguins!) and caring for marmosets in a Cambridge research facility. To me, veterinary is a perfect combination of compassion (interacting with people and caring for animals) and scientific knowledge, which makes it the ideal career choice for me. The Royal Veterinary College of London is my first choice for a simple reason really. On my visit there, the head of admissions said to me that “gut feeling” should be a major factor in choosing your university. Upon walking around RVC, seeing the facilities and teaching, I just felt that this was where I wanted to be for the next 5 years, plus London is a fantastic place to study (though a bit pricey!). On top of this, RVC has an international reputation and has access to state of the art facilities. 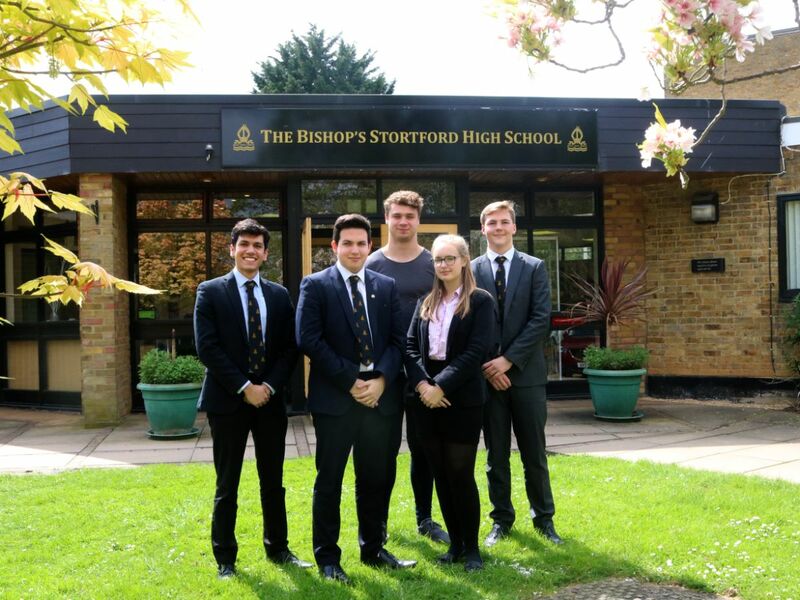 My success and interest in science has been due to fantastic teachers at TBSHS and I would like to thank all the staff, particularly Mrs Gilmour and Mr Smith for their relentless support with my A-levels. The support of Mrs Price was also hugely appreciated when applying and preparing for interviews." Federico explains his thought process "My passion for medicine comes from its combination of human sciences and compassion which go together perfectly to create a fascinating and worthwhile profession. Having the opportunity to become a doctor and improve the quality of life of other people will be extremely gratifying and further encouraged me to choose this course. I decided to choose UCL as it is a renowned institution providing many opportunities in its course, which not all universities offered, such as an integrated degree meaning you finish the course with two separate degrees. London is also a massive multicultural city with socio-economic variety, so there is loads of good pathology you don’t see in other homogeneous populations. Also UCL was the only offer I received so I didn’t have much choice... fortunately I had always wanted to go there from the start so jokes on the other universities! I would like to thank my current teachers for supporting me through these last 2 years and Mrs Price for helping with the application process and providing multiple practice interview opportunities." Sameed commented "I truly believe that before you decide to study Medicine you need to do everything you can to talk yourself out of it. Medicine is a big commitment. So big in fact, that I've been assured on multiple occasions that I won't be able to truly comprehend its massiveness until it'll be far too late to turn back. Long hours, scheming Health Ministers and insane workloads will gobble up our twenties, thirties and possibly our forties too (depending on what career decisions we make along the way). It ends up being pretty darn important then, that you take a realistic view on whether you as an individual would be up for the task. Personally, no matter how many career options I considered, I kept coming back to Medicine because of the simple fact that I couldn't imagine doing anything else. I see Medicine as the perfect balance between art and science. It's a career which requires you to have an incredibly varied skill set, one which needs to be deployed in a whole range of creative and intuitive ways if you want to give your patients the high quality of care they are entitled to. Critical reasoning, communication skills and empathy aren't just buzzwords to be used in your med-school interview. They're tools you'll be using for your entire career and a means through which you can enrich your everyday life. I chose Imperial and Barts because London provides unparalleled learning and social opportunities for students. But as with anything in life, your University experience will be what you make of it so make sure you approach it with a positive mind-set!"